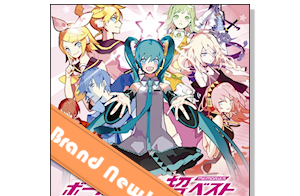 91.8 The Fan » Blog Archive » The Current Reviews the Suguri Collection! 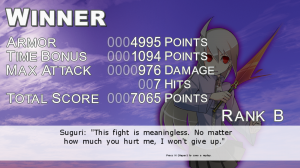 The story of SUGURI isn’t very meaty, but shoot-em-ups rarely ever focus on story. 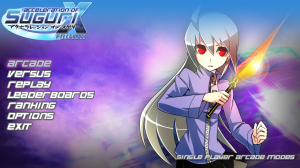 Players take control of Suguri, a powerful girl capable of flight, who is trying to protect the newly restored planet Earth from an invading force consisting of various deadly robots and other flying girls. 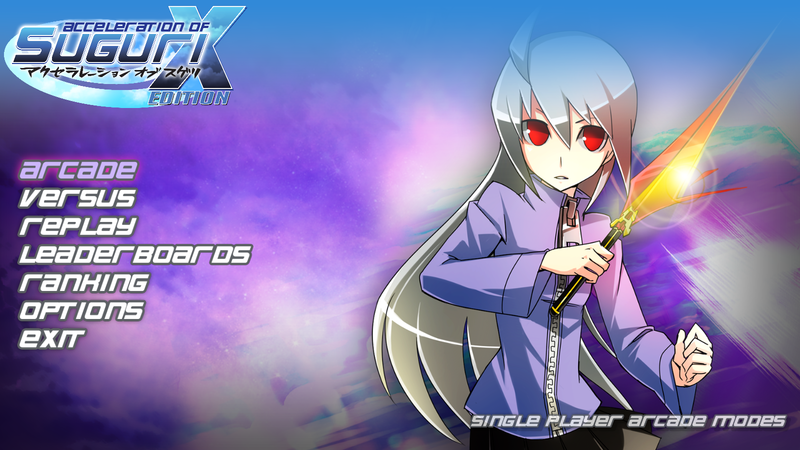 Acceleration also contains a few different storylines for each of the characters that appeared in the first game. I will be the first to admit that, while I really do like this genre of video games, I have no real skill and little experience. 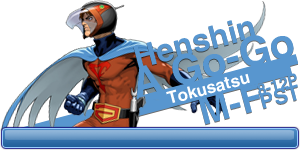 In fact, the most I’ve played are the two dream sequence mini games in both No More Heroes games if you don’t count games like Beat Hazard! 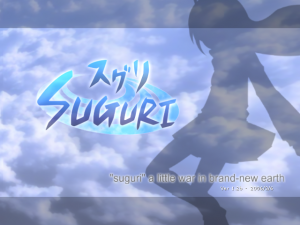 Through a little bit of research, I learned a bit more about SUGURI and how it was a small indie effort by Orange_Juice brought over from Japan by Rockin’ Android. This explains why the game feels a bit sluggish as I started playing; it also explains how brutal the game can be even on easy difficulty. 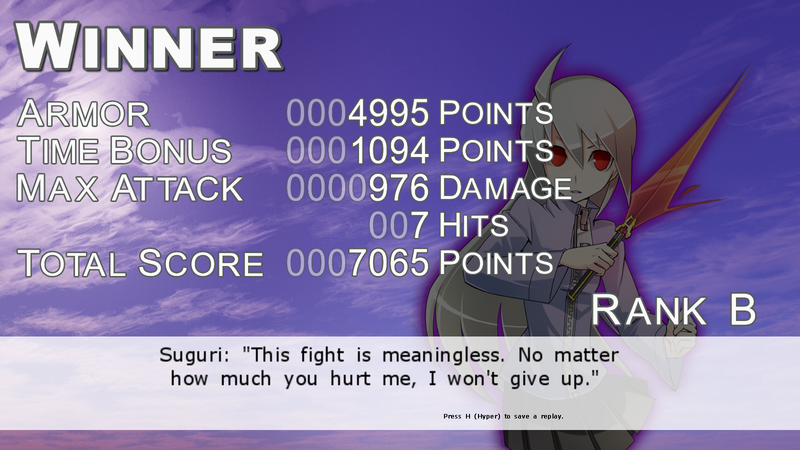 SUGURI does do a good job of balancing the sluggish feeling, however. The use of a dashing system allows Suguri to speed through massive energy attacks without harm. 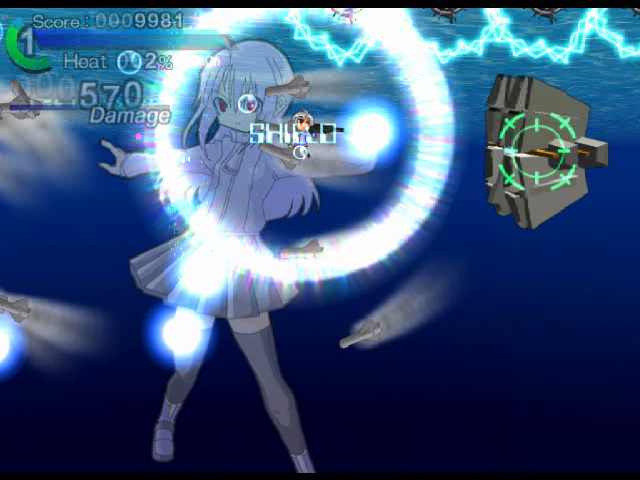 In order to avoid abuse, dashing builds up Suguri’s internal heat; the hotter she gets, the more damage she’ll take if hit. Thus, players will need to stop every once in a while to cool down or risk taking big hits and losing the only life they’ve got. Acceleration of SUGURI X-Edition HD plays similarly to the first game but twists the formula in a way that feels like a breath of fresh air within the genre. 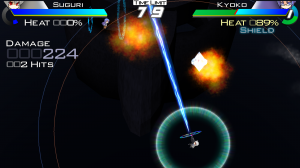 Acceleration plays like the love child of shoot-em-up and fighting games; Players can choose a character, each with their own unique weapons and specials, and are tasked with whittling down their opponent’s life bar. 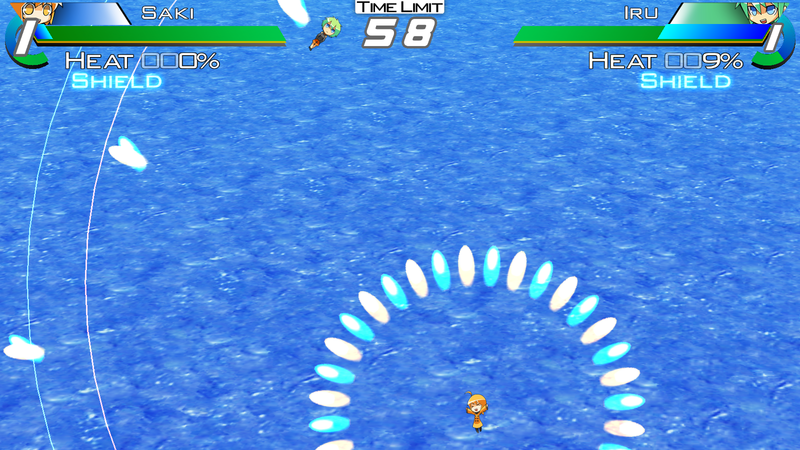 The action is far quicker and harder hitting as players dash around a large circular arena, dodging bullets and missiles in an effort to land their own attacks. I’ve also never been a good fighting game player, but for those interested in learning how to best the game, many of the players on Steam give tips and strategies that will greatly help novice players. This is especially helpful, as neither game has a tutorial. 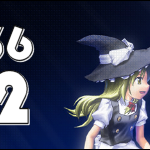 Both games utilize a pretty basic scoring system (points for remaining health, most damage done in one combo, time remaining) to rate performance and also feature leaderboards for bragging rights. 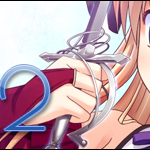 Skillful players will learn what weapons/characters to use to earn big points and stay on top. 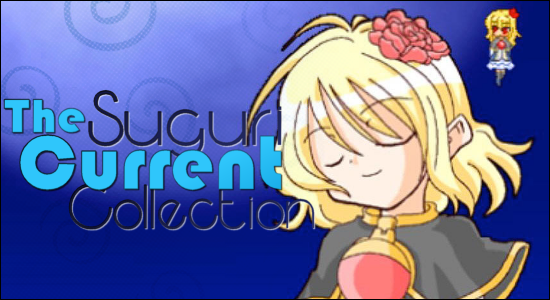 In the end, I feel that the Suguri Collection is a nice, every-once-in-a-while diversion for fans of shoot-em-ups. The mechanics are interesting enough that the game feels unique and strategies can be formed, but there are still a few issues that plague the two games. Many Steam users have noted that playing the games in fullscreen tends to bring out some major issues such as screen flickering and extreme loading times. Playing in windowed mode alleviates many of the issues, but it is worthy to note that the game doesn’t seem to play nice with the Steam Overlay. It took some searching in the community hub just to find out how to take screenshots for the review! As I said before, the two games are still a nice diversion, and I can safely recommend this to shoot-em-up fans, especially if it comes up in a Steam Sale. 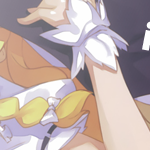 Pick up the Suguri Collection on Steam for $9.99 and support the indie gaming scene in Japan! 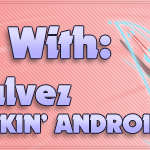 April 30, 2010 iStalk – 313 Today Doujinshi on your iPhone, more MMOs in outer space, and Rockin' Android reach out to consoles.